(by Michael Bastasch, The Daily Caller) – A group of 15 scientists and meteorologists have put forward a scathing rebuttal to the Obama administration’s recent climate report which said the U.S. is already being harmed by global warming. “As independent scientists, we know that apparent evidence of ‘Climate Change,’ however scary, is not proof of anything,” wrote the 15 scientists and meteorologists,including Dr. Don Easterbrook of Western Washington University and Dr. George Wolff, who formerly chaired the Environmental Protection Agency’s Clean Air Scientific Advisory Committee. “Science derives its objectivity from robust logic and honest evidence repeatedly tested by all knowledgeable scientists, not just those paid to support the administration’s version of ‘Global Warming,’ ‘Climate Change,’ ‘Climate Disruption,’ or whatever their marketing specialists call it today,” they continued. The White House’s “National Climate Assessment” (NCA), released last week, claimed that the U.S. was already being affected by global warming though warmer temperatures and increasing extreme weather events. But the 15 skeptical scientists said the White House is trying to lay the blame for global warming at the feet of the fossil fuels industry when there is little evidence to back up that claim. The Earth’s climate is very cyclical and has gone through many changes in the past, the scientists said, without humans emitting carbon dioxide. The NCA says the U.S. average temperature has risen between 1.3 degrees Fahrenheit to 1.9 degrees Fahrenheit since 1895, which is causing more extreme weather, like hurricanes and droughts, and harming fragile ecosystems around the country. The NCA also warns that the U.S. average temperature could rise 4 degrees Fahrenheit in the coming decades if nothing is done to limit carbon dioxide emissions. The report suggests a slew of regulatory solutions from cap-and-trade to green energy subsidies to mitigate [ease] global warming. The Obama administration and environmentalists have tried to make it seem like there are virtually no dissenting voices among scientists that mankind is causing the Earth to warm rapidly and towards a catastrophic end. But not all scientists are in lock-step with the White House on climate science. 2. a) Define skeptical and skeptic. b) What reasons do the scientists who refute the White House’s claims on global warming give for their opposition to the NCA report? 3. a) What is the NCA? b) What does the NCA conclude about global warming and the climate? c) What does the NCA suggest should be done to slow down global warming? 4. a) What do the scientists who disagree with the NCA report accuse the White House of doing (through the report)? b) Re-read para. 11-13. These opposing scientists say the Earth’s climate is very cyclical and has gone through many changes in the past without humans emitting carbon dioxide. What do you think of this assertion? 5. a) How does President Obama and others who believe in global warming label any who disagree with this theory? b) In what way is the President (and other environmentalists) attempting to silence any opposing voice (of people who do not believe that man-caused catastrophic global warming is imminent)? a) Ask your science teacher if he/she agrees or disagrees with this assertion and to explain his/her answer. 7. 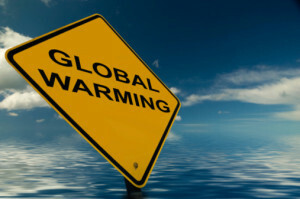 Numerous results come up in an internet search for “White House global warming report.” However, a search for “scientists refute White House global warming report” results in 2 news outlet reports as of May 19. Why do you think the media is not reporting that reputable experts in the field disagree with the NCA and wrote a report refuting the NCA findings? The IPCC was established in 1988 by the United Nations. Over the last 25 years, the IPCC became the “gold standard” of climate science, quoted by all the governments of the world. The National Climate Assessment (NCA) is a United States government interagency ongoing effort on climate change science conducted under the auspices of the Global Change Research Act of 1990. NCA is a “major product” of the US Global Change Research Program (USGCRP) which coordinates a team of hundreds of experts guided by a sixty-member Federal Advisory Committee. NCA research is integrated and summarized in the mandatory ongoing National Climate Assessment Reports. The reports are “extensively reviewed by the public and experts, including federal agencies and a panel of the National Academy of Sciences.